I personally experienced the full spectrum of the Neurophysiological Disorder (NPD) from 1990 to 2004. I had no idea what was happening and learned an effective treatment strategy by taking every possible wrong turn. I have experienced over half of the 33 NPD symptoms that Dr. Schubiner describes in chapter 5 of his book, Unlearn Your Pain. Every one of them resolved, including severe burning in my feet, tinnitus, OCD, migraine HA’s, and migratory rashes. None of these symptoms were subtle, but they have been gone for a while. If I quit practicing the principles I espouse on this website, my MBS symptoms will begin to return within a couple of weeks. I have learned my body is a sensitive and unforgiving feedback loop. I have experienced NPD symptoms since I was five. My real plunge began in 1995. I went into a complete free fall resulting in an obsessive compulsive disorder as well as a major depression. I tried everything. But the only resource that pulled me out of my tailspin was David Burn’s book, Feeling Good. The book is remarkable, but in retrospect the most important factor was engaging with the book’s writing exercises. I wrote with a vengeance. Within six weeks, my anxiety began to decrease significantly. It is unclear why writing is so powerful, but my opinion is that you are separating from your thoughts and associating the space with the physical sensations of vision and feel. This is one way new neurological pathways can be formed. Warning: I need to note that extensive research has documented the effectiveness of expressive writing. However there may be a dip in your mood for the first few weeks. If it seems to be problematic then you should stop and not restart until you feel better. It also may be a good idea to begin slowly. For me the key issue was anger. My self-identify was wrapped up in being “cool under pressure.” I had no idea that I was angry at all. I finally faced my own victim role in 2002. You can decrease your anxiety with somatic tools but anger is the turbocharger that just fires it all back up. Six months after I realized that I was in the victim role, my life permanently changed. My OCD broke; I could sleep. I have never remotely gone back into those years of severe burnout. Howard Schubiner, a Mind Body Pain Specialist from Detroit, has also observed what I have seen. Anger is the key emotion that seems to be closely linked with pain. A couple of years ago, a patient gave me the book, Forgive for Good by Fred Luskin. He is a psychologist at Stanford and was involved with four research projects looking at the effects of forgiveness. It is a very blunt, clear book. 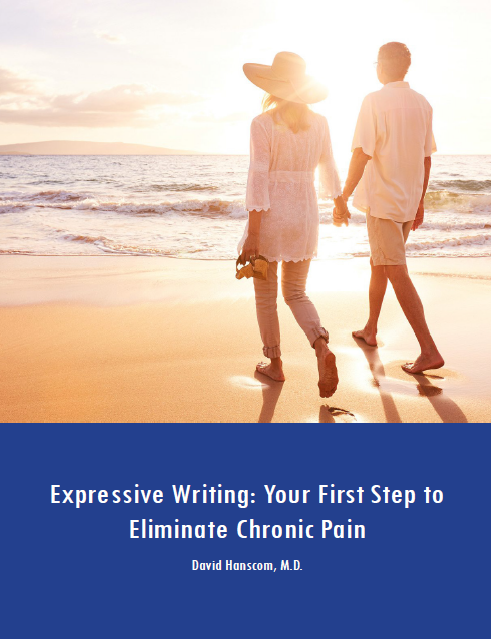 It was when this book hit my practice that I began to watch patients consistently becoming pain free. This whole process continually fascinates me. None of it was anticipated. Multiple physicians around Seattle are changing their paradigm of chronic pain to incorporate NPD concepts. They are also seeing a lot of success. 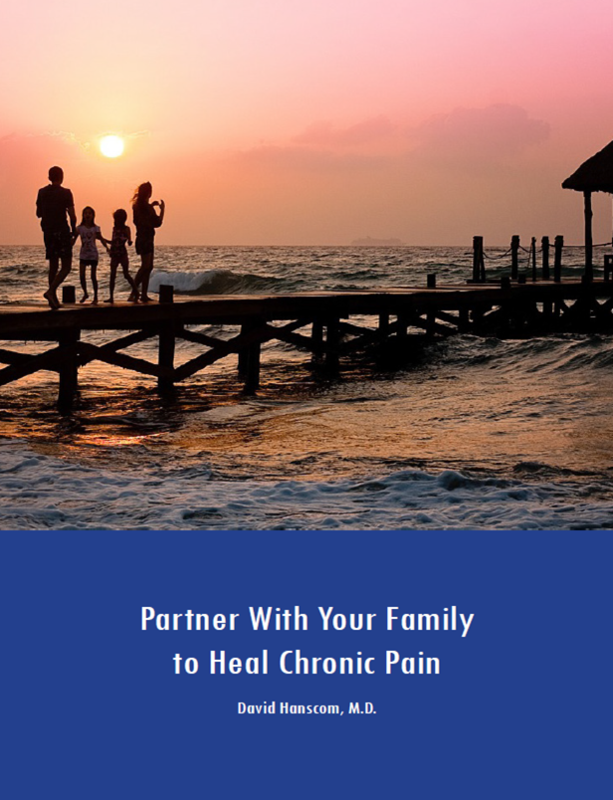 One in three Americans experiences chronic pain. We have medicalized a neurological problem. The tragedy is that NPD is so treatable. Our profession is rapidly creating disability instead of solving and preventing it. In this section, I will be sharing some my personal experiences dealing with NPD. I hope you will find them helpful.